The benefits of gender equal workplaces are even greater than originally thought, according to a new study by the International Monetary Fund. If countries with low gender equality improved their equality ratings, they could see their economies grow by an average of 35%. Yet nearly 9 out of 10 countries have restrictions against women in the workplace embedded in their constitutions or laws. IMF Head Christine Lagarde points out that the world economy would also be less prone to financial collapse with more women in senior roles. A more diverse workforce brings new skills to the workplace, and helps boost productivity as well as the size of the workforce. Think the laws are sorted? It should be noted at the outset that gender inequality does not only impact cisgender women, ergo the benefits of greater equality and diversity do not only apply to including cisgender women. Gender inequality impacts us all, including the LBGTI community and men who do not conform to a certain definition of masculinity. However, within this column, a number of the laws and studies cited simply reference "men" and "women", and for the sake of accuracy I have kept those references unchanged. The IMF has started to press member countries to take action at policy level, such as urging India to improve transport to make it easier for women to get to work and calling on Morocco to change its inheritance laws. The research further suggests that banks would be more stable if their boards were more gender representative. Banks which have more women in executive positions have larger capital buffers, fewer non-performing loans and lower risk indices. We are past debating the integral role gender equality plays in growing economies. Yet the gender gap is still massive. In 2018 the World Economic Forum estimated that the global gender gap will take 108 years to close and economic gender parity will take even longer – about 202 years. Interestingly, 88% of countries worldwide have restrictions against women in the workplace embedded in their constitutions or laws. Some forbid women from doing specific jobs, 59 countries have no laws against sexual harassment in the workplace, and there are 18 countries where women can be legally prevented from working. France and Germany tax men and women separately rather than jointly when they live in the same household. Male participation is still dominant by a large margin, and the gender pay gap among rich countries members is 16% (among members of the Organisation for Economic Cooperation and Development, a think tank for developed nations). South Africa was ranked 19th in terms of the 2018 global equality ranking scale. And although SA has done relatively well at 19th for overall gender equity, we came in at 91 for economic participation and opportunity. We have plenty of room to improve. 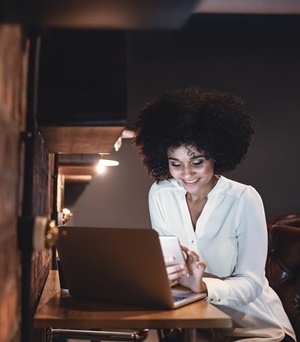 While we don’t have any institutional restrictions regarding gender in the workplace in South Africa, there are a number of barriers in business. Women are judged more harshly at work than their male counterparts, particularly when it comes to making mistakes. Women who lead large public and private companies face greater scrutiny because of their gender. They’re also more likely to be judged according to their voice and personalities. In 2015, a study found that women’s perceived competency drops by 35% when they’re judged as being forceful or assertive — qualities often lauded among male CEOs. So, women don’t make mistakes more often than men, but when they do, the consequences are harsher. Author Tomas Chamorro-Premuzic raises two powerful questions. Why is it so easy for incompetent people, particularly men, to become leaders? And why is it so hard for competent people, particularly competent women, to advance? When competent women - and men who don't fit a certain stereotype - are unfairly overlooked, we all suffer the consequences. The result, he argues, is a deeply flawed system that rewards arrogance rather than humility, and loudness rather than wisdom. Donna Rachelson is a branding and marketing specialist, CEO of Branding & Marketing YOU and author of Play to Win: What women can learn from men in business. She is an award-winning businesswoman and business investor who advocates for empowering women and entrepreneurs. Views expressed are her own.